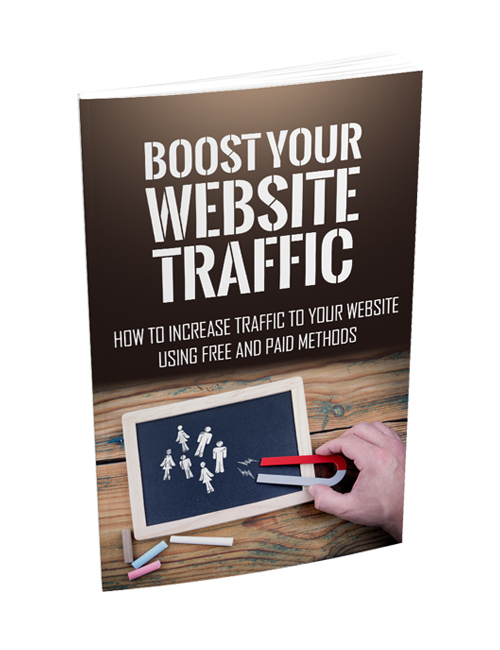 Traffic is the lifeblood of any online business as you may already know. And those who have a ton of traffic, especially targeted traffic, are most likely thriving in their business. No matter how great your site looks or how much you’ve invested in getting everything looking just right, a site with zero traffic is worth nothing if it’s not being seen. It may as well be like having the world’s biggest shopping mall in a desert. Who will find it? You might be wondering exactly how you can up your website’s traffic. After all, the purpose is to get sales. That’s how a business is run. Even if you’re running advertisements, you need views and clicks so you can make commissions. Or if you’re building a list, you need people coming in to sign up. None of this is possible if you aren’t getting traffic which is where this comprehensive guide comes in. You’re going to discover the many different and effective traffic-generating methods available to you, from paid to free, so you can have a real business that’s working for you and making you a profit. You’ll learn about SEO so you can optimize your site for targeted keywords and phrases to attract organic traffic. You’ll also learn about creating quality content, how to make the most of social media, how to implement guest blogging, forum links, email marketing and much more. When you’re done, you’ll be ready to go full-speed with your online business and ready to make waves. Grab this guide now and get moving.